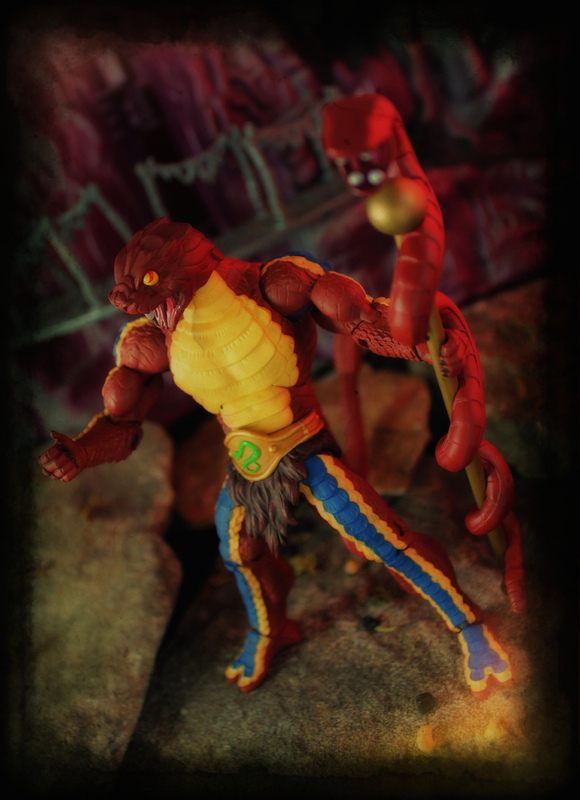 A loyal leader in King Hssss’ army, Rattlor was the first of the Snake Men to escape their imprisonment in the Void. 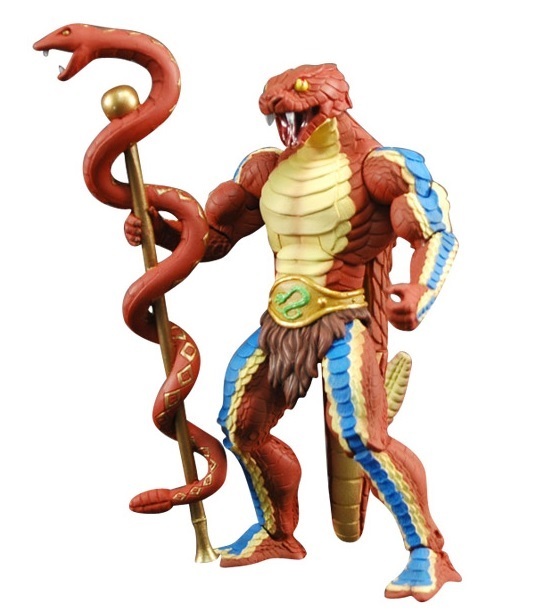 He worked with the Snake Men descendent Kobra Khan to liberate the entire serpent arm. 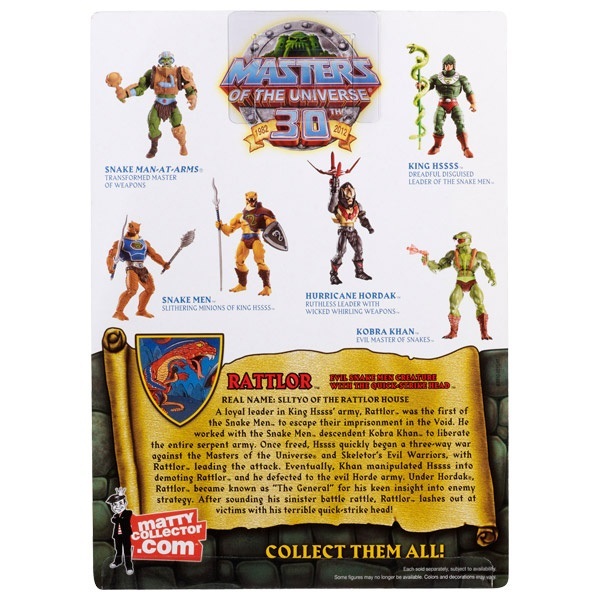 Once freed, Hssss quickly began at three-way war against the Masters of the Universe and Skeletor’s Evil Warriors, with Rattlor leading the attack. 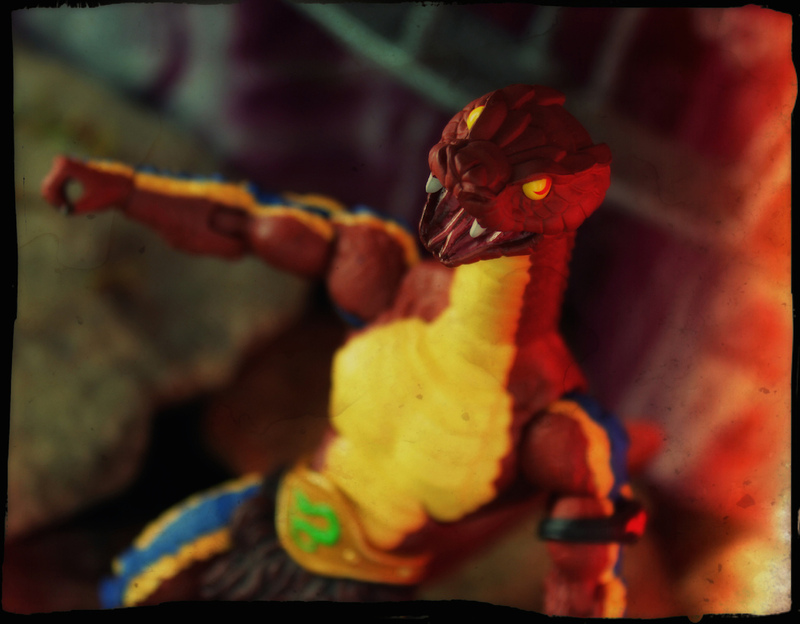 Eventually, Khan manipulated Hssss into demoting Rattlor and he defected to the Evil Horde army. 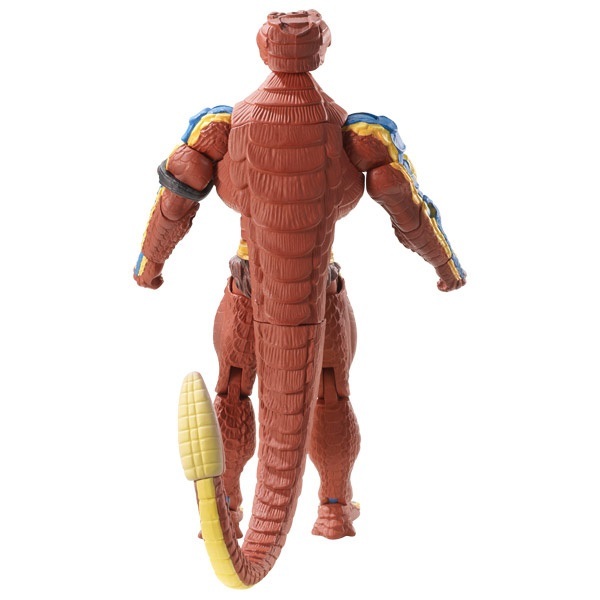 Under Hordak, Rattlor became better known as “The General” for his keen insight into enemy strategy. 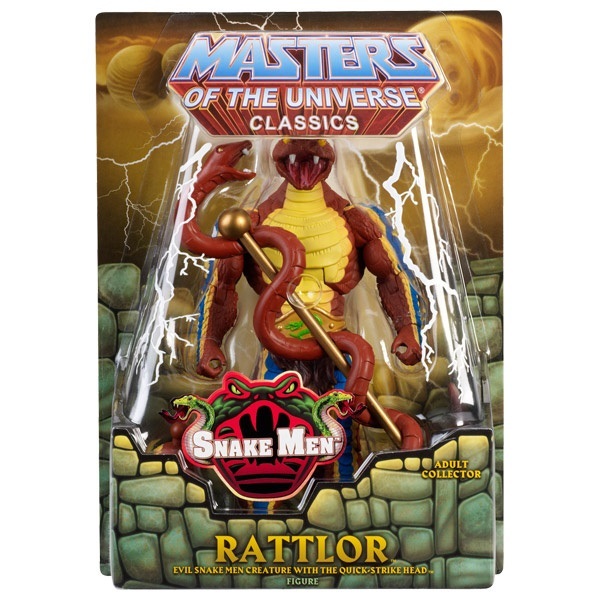 After sounding his sinister battle rattle, Rattlor lashes out at victims with his terrible quick-strike head!